Pinterest is not just another social media platform. In fact, it’s not a social media platform at all… it’s a search engine! With social media, your content disappears almost immediately. With Pinterest, your content can be found through searches months after it was initially pinned. This makes Pinterest a powerful tool when used properly. 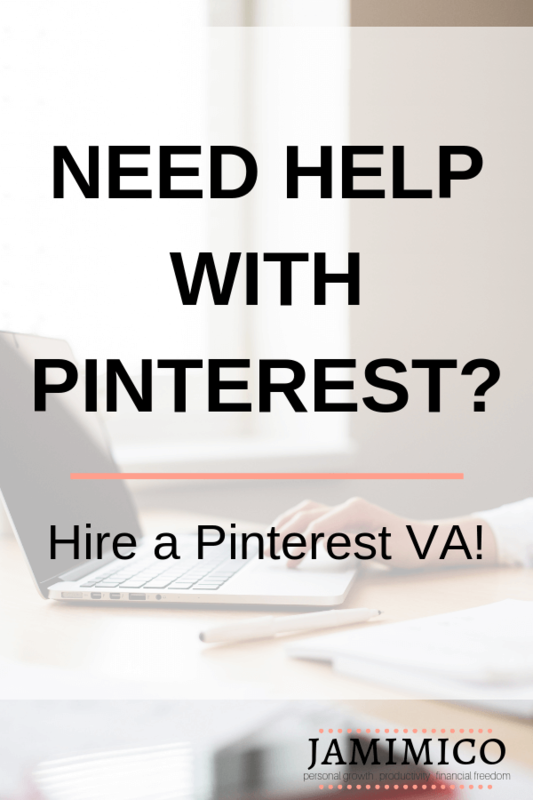 Why Hire a Pinterest Virtual Assistant? Let’s face it… Pinterest can be confusing and time consuming. If you’ve never used it before, there’s a lot to learn. If you have used it before, you know that it takes time to create pins and consistently pin them. With a Pinterest virtual assistant, everything is taken care of. Instead of spending your time researching keywords and creating graphics, you can spend your time on the parts of your business that you enjoy and that only you can do. As a new blogger, I had to figure out how to get my content in front of people. SEO takes time and social media followings are difficult to grow when you’re starting from 0. So, I turned to Pinterest, and I’m so glad I did! Over the last year, I have taught myself everything there is to know about Pinterest and how to make it work for your business. I have spent hours poring through articles, chatting with Pinterest experts, and getting my hands on every course I could. The result is a vast wealth of knowledge about Pinterest and a practical understanding of how to implement that knowledge. My small blog (with less than 50 posts) brought in over 15,000 pageviews last month via Pinterest! I can make your Pinterest account cohesive with your brand. Want proof? I did it with my own Pinterest account. I am passionate about Pinterest and am continuously learning more about the platform, which is constantly changing. I understand the importance of putting the customer first. I will work with you to figure out the best plan for you and your business. I offer the below packages, which can all be tailored to fit your exact needs. Please don’t hesitate to reach out with any questions you might have. If you’d like to know more about the services I offer, book a call with me to discuss how I can help grow your reach on Pinterest! I love chatting about Pinterest and there’s no obligation, so why not? !